Two of the leading figures in orchestral jazz have released new albums in 2015, Maria Schneider (The Thompson Fields) and now John Fedchock. 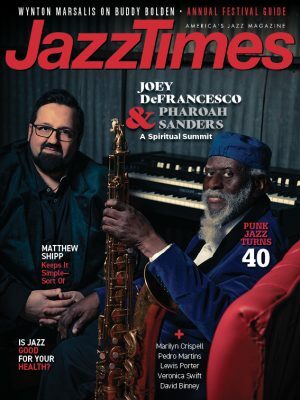 For both, it is their first large-format jazz recording in eight years. The economics of big-band jazz are forbidding, yet the two orchestras have sustained relatively stable personnel for over 20 years. They share five musicians. New York’s big-band players are a tight community. Schneider uses her ensemble for musical autobiography. Fedchock uses his as a high-level laboratory. Like It Is is comprehensive. 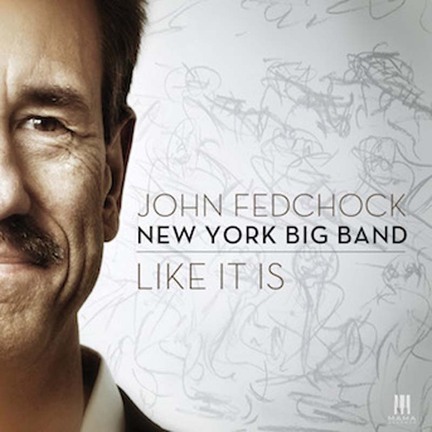 It encompasses both classic big-band scale and detail (in Fedchock’s impeccable arrangements) and postmodern dissonance (in liberties taken with tunes like “You and the Night and the Music”). Many bases get covered. There are two Latin numbers, Cedar Walton’s headlong, reharmonized “Ojos de Rojo,” and Fedchock’s “Havana,” a snaking, sensual bolero, both driven by guest percussionist Bobby Sanabria. A Fedchock original, “Just Sayin’,” sounds vaguely familiar, like a notion Wayne Shorter might have conceived, broken up and flung around. There is the title track, Fedchock’s funk digression just for fun, and two seriously pensive standard ballads. “For Heaven’s Sake” has a long, flowing, luminous flugelhorn solo by Barry Reis, and “Never Let Me Go” presents the nuanced expressiveness of Fedchock’s trombone playing. The most ambitious piece is “Ten Thirty 30,” assembled from Clifford Brown compositions and solos. As themes fly by, Fedchock’s chart opens spaces for his own agile trombone, Allen Farnham’s ringing, raining piano, Scott Wendholt’s ecstatic, swerving trumpet and Rich Perry’s tall tenor saxophone architecture, erected on an odd little rhythm-section vamp. (Other solid solo work comes from Gary Smulyan, Mark Vinci, Walt Weiskopf and the late Dave Ratajczak.) This album is a diversified, in-depth status report on the big-band jazz art form as of 2015.